Buy your copy of Access now and enjoy the new database formats and discontinued features. After your purchase, you will receive a download link and a license key that will enable you to activate your product within minutes. 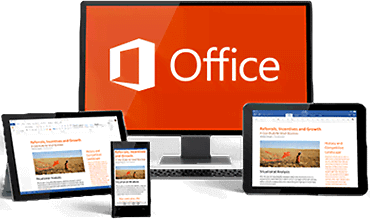 Access is a database that is part of the Microsoft Office Suite. You can upgrade from Access 2016 to Access 2019 with a simple click. This latest edition includes all the features of the previous version as well as other additional applications. Do not hesitate to buy this software and take advantage of all the new improvements. The most exciting feature in Microsoft Access 2019 must be the new Modern Charts which include Column, Clustered, Lines, Bar, Pie and Combo. You can also upgrade from an older such as Access 2013, Access 2016 database version to Access 2019. Support for dBase is back, with this feature you can now import and export links to and from the data stored in dBase files. This feature made a comeback in Access 2019. However, it was not present in the 2016 version. Microsoft Access software has updated its “Tell Me what you want to do” feature. Also users are now given the opportunity to sort property sheets alphabetically.